Let us teach our children how to farm! Let us make Farming cool together! The 'Farming is Cool' initiative aims to change this mindset and prove to youth that modern agribusiness is a respectable and 'cool' profession that should be viewed and practiced as a business. 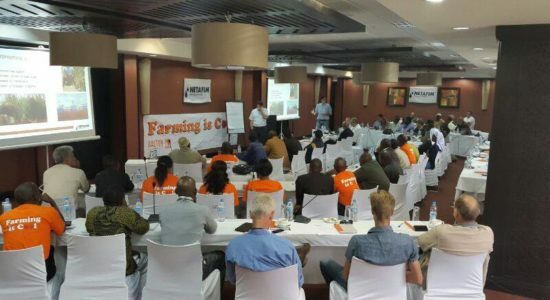 Balton Rwanda’s ‘Farming is Cool Rwanda’ campaign is aimed at changing youth mindset towards agribusiness while empowering youth with the technology, knowledge, skills, support, and financing to engage in modern agribusiness. Today, most youths view agriculture as a ‘dirty’ occupation often practiced by older people when they retire or by those who are hungry and engage in agriculture for their survival. Often in schools when children misbehave agriculture is used as a form of punishment. The ‘Farming is Cool’ initiative aims to change this mindset and prove to youth that modern agribusiness is a respectable and ‘cool’ profession that should be viewed and practiced as a business. 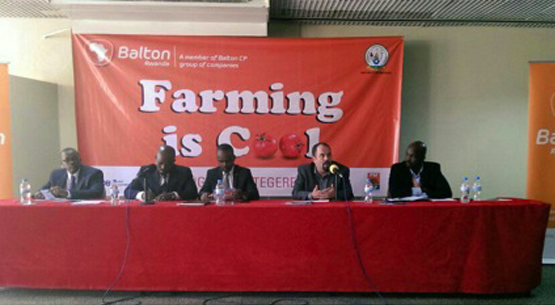 Balton Rwanda aims to emulate the success of the ‘Farming is Cool’ campaign initiated in Kenya in 2011 and implemented successfully during the last 4 years by its sister company Amiran Kenya. Over the last few years, the campaign has allowed Amiran Kenya and its partners from the Government, Donor and NGO communities, and private sector to place the Amiran Farmers Kit (AFK) in over 1000 primary and secondary schools throughout Kenya and in more than 300 youth polytechnics in the country. This has allowed over three million Kenyan children and youth to be exposed and pro-actively engaged in modern agribusiness using the most advanced, cutting-edge technologies and methods available in the market today. Engaging Kenyan gospel rapper and youth idol Julius Owino (AKA Juliani) as its ‘Poverty Eradication Ambassador’ Amiran Kenya and its partners launched the ‘Juliani Farming is Cool Concert Tour’, which captured the imagination and hearts of thousands of Kenyan youth. The advocacy and schools campaign in Kenya were supported by financing offered by several banks and micro-finance institutions for the Farmers Kit through tailored loans, which are offered to all farmers including youth.